There are a lot of strange looking animals in South America, most of which many of us don’t even know existed. 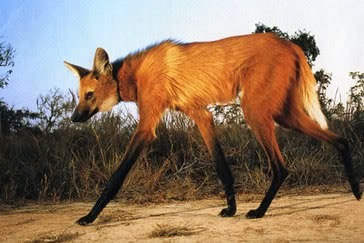 Imagine seeing an animal that looks like a fox, but has long legs like a gazelle. 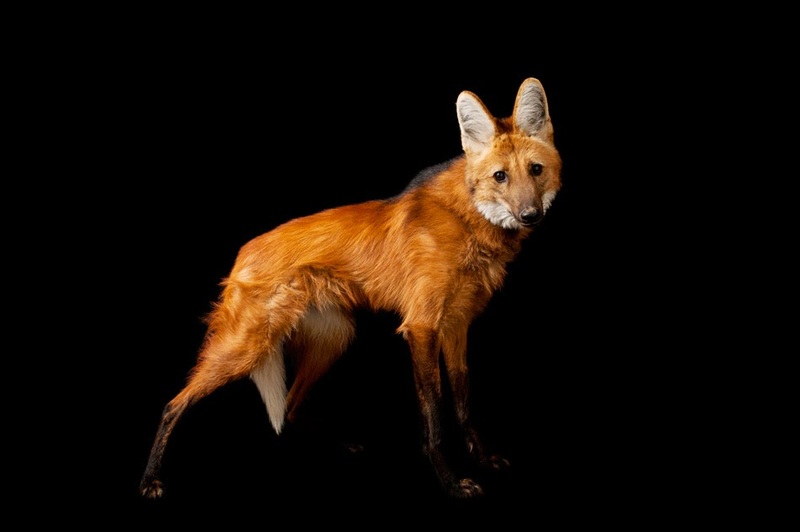 This creature, called the maned wolf, definitely stands out from other fox or dog like animals. They stand at around 3 feet tall and weigh in at 50 pounds. It’s the biggest canid you can find in South America and it resembles a fox with reddish- brown fur and long legs. From its name, it has a mane found along their backs. Their ears are long and large, growing to about 7 inches. 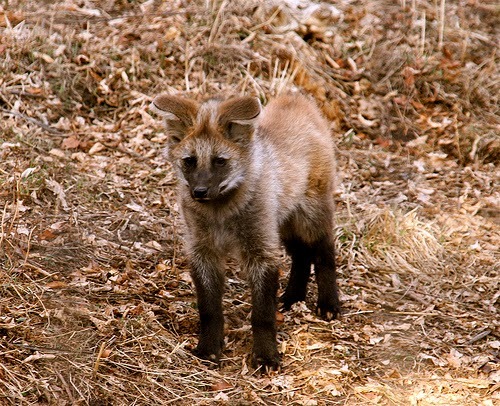 They also have distinct white markings on the tips of their tails and throats and their legs are usually dark in color. These wolves are usually seen in southeastern and central Brazil, northern Argentina, eastern Bolivia, and Paraguay. They commonly stay near open forest, marshlands and savannas. As for their diet, they’re omnivorous. Living off small mammals, bird eggs, birds, reptiles and even fruits and vegetation, they can easily adapt to most different environments and food sources. In recent years, there has been a threat to these animals’ survival. Their natural habitats are being converted for human use and destruction of these areas has forced them to move away. They don’t have a lot of natural predators, but they’re species are in danger since they need open, uninterrupted spaces to live in. another problem is hunting and poaching. They’re being hunted for various body parts, which are believed to contain magical properties by locals.